Selling fast, be quick & book to avoid disappointment! Our stylish Hilltop Villas offer scenic views of the Ningaloo Reef and are only a few minutes walk to the beach via our purpose-built boardwalk. 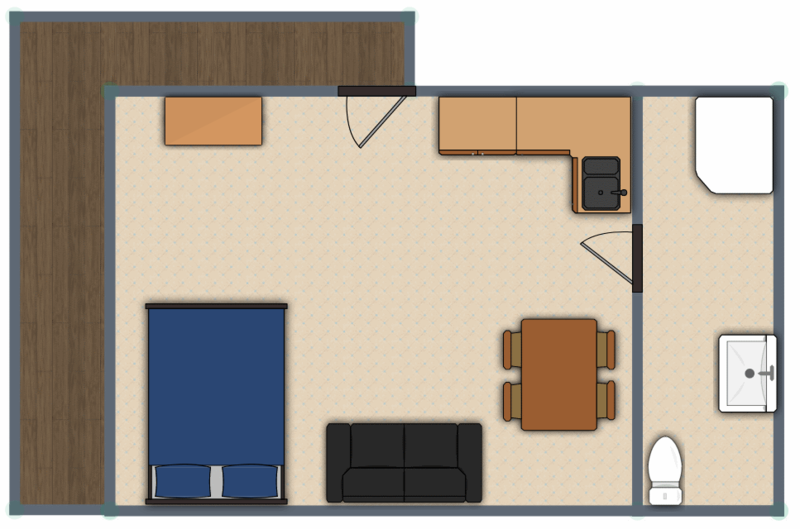 Our Studio Villas are suitable for 1-2 adults offering a queen size bed in the main living area. All Villas are air-conditioned, with LCD flat screen TVs and DVD players, bathroom, washing machine and a kitchenette provided to make your stay as comfortable as possible. Your towels are washed and replaced every few days, and all linen is changed weekly. – Higher charges may apply during Christmas & New Year. Parking is available on top of the “hill” near your villa. Private access via a purpose built boardwalk will give you access to the beach and the rest of Coral Bay’s facilities.